Radisson Blu Hotel Berlin is centrally located in the capital city of Germany, between Alexanderplatz and Museum Island. The hotel's location gives near access to tourist attractions. The hotel itself has an unique own attraction since it has the world's largest cylindrical aquarium named AquaDom. This elegant spa hotel has unique interiors offering 427 hotel rooms and suites. All rooms have free WIFI and TV. The restaurant HEat with it's open kitchen, offers a variety of exciting meals. Depending of the size of the group, there is also possibility to seat chambre separée. 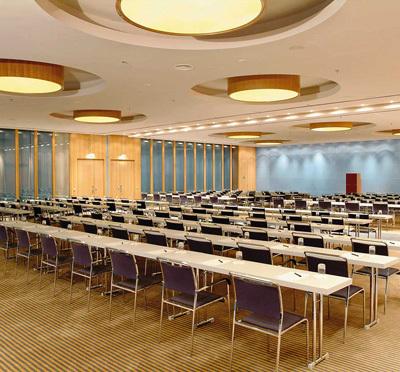 Radison Blu Hotel Berlin har top modern 15 meeting rooms and an event area of 2700 sqm. Have you been to Radisson Blu Hotel Berlin and want to give your own comments?